Kenbu Tenshin Ryu practice focuses on soft and fluid movement that induces natural flow of the body without straining or stiffening your muscles. This approach enables enhancing your physical abilities and awareness. At the same time, techniques developed from such softness carry great effect and power. 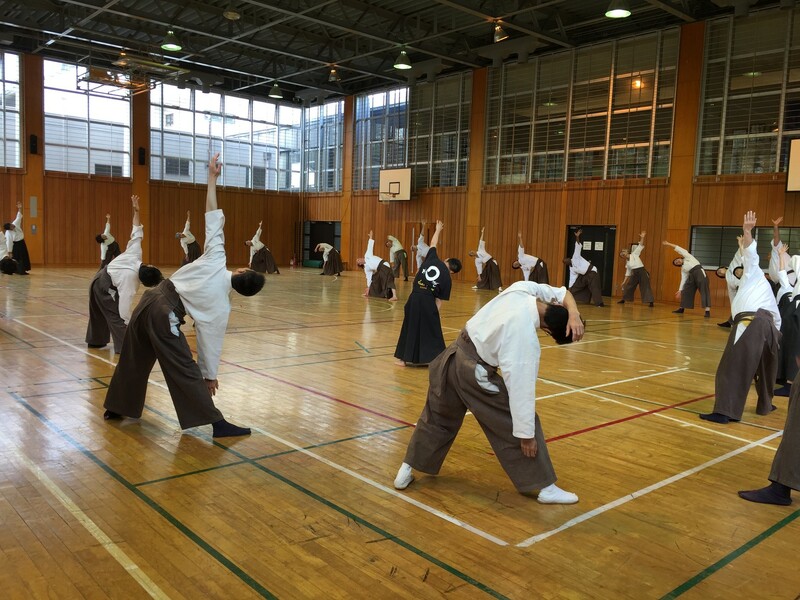 When we think about Budo, generally, most of us have a rather rigid idea of it, both physically and mentally. 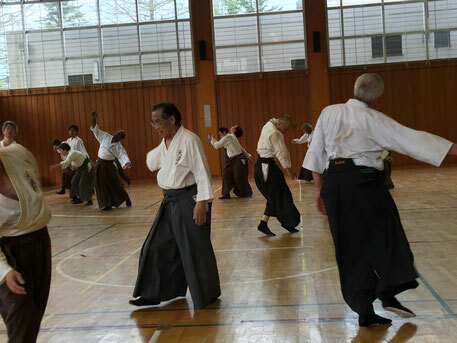 However, in any kind of sports such as baseball, golf, swimming, or combat sports, we cannot yield good results unless we use soft, fluid movement, and the same can be said in Kenbu Tenshin Ryu practice. Part 1: Active Bodywork Part 1 is joint practice including warm-up exercises, foundational exercises, foundational body practices, and foundational sword techniques. This first part is designed to open and soften your mind and body, as well as to activate your senses fully. 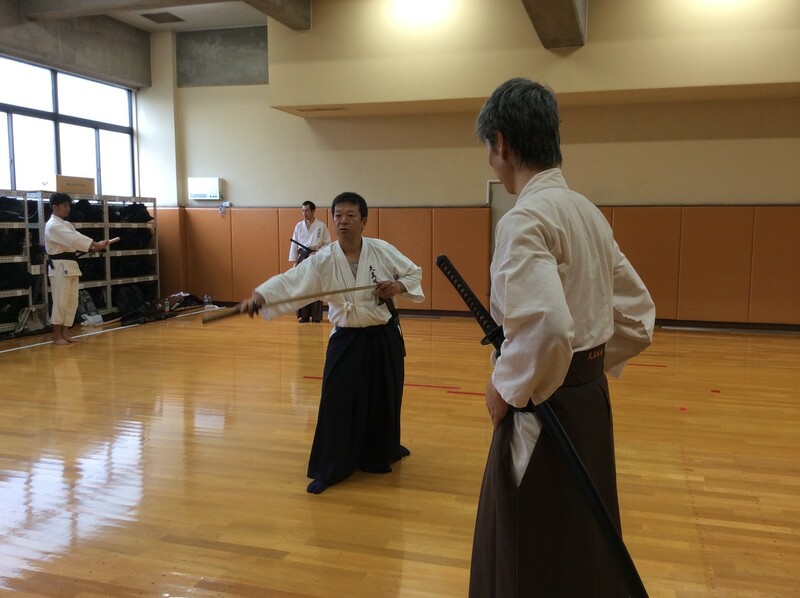 This will allow us to learn how to integrate our entire body and develop balance, which can then be applied when practicing with the sword. 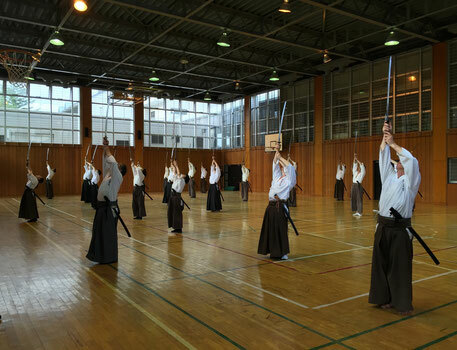 Part 2: Sword Practice Part 2 is level-based practice in small groups focused on learning forms and techniques corresponding to your current level. The simple and easy-to-learn Kenbu Tenshin Ryu Program is designed to help you progress and develop your skills step by step. 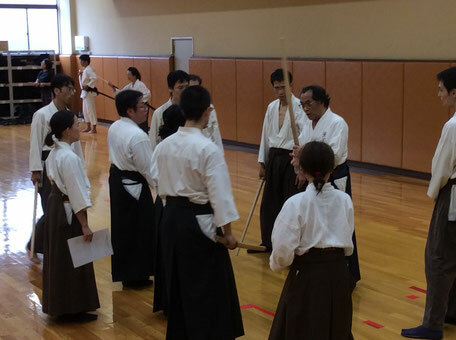 Lessons using the sword begin with simple Reiho (manners/etiquette necessary for sword techniques). 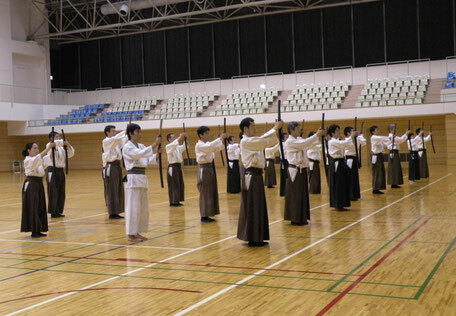 From there, you will gradually start learning a rich array of intriguing techniques such as: a sequence of fast-draw techniques, a combination of advanced forms, a sequence of valiant and lively Batto Forms, expressive dance-like sword forms, and vigorous Kumitachi Kata (Partner Exercises using Wooden Sword) .